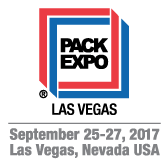 iXAPACK GLOBAL USA gives you an appointment at PACK EXPO Las Vegas on the Booth #C-4640. Schedule ahead Your Free Consultation with our Engineering Department. Get a Quote for your Next Robotic Packaging Project!